The January issue of What Car? magazine | What Car? Volkswagen's all-new Passat takes centre stage as our Star Car for January, however there's another 26 first drives to choose from if you're after something a little different. Entering the What Car? 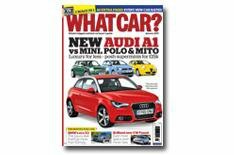 Test Centre this month, we have a premium supermini group test: pitting the new Audi A1 against the new Alfa Mito, new Mini Cooper and VW Polo. There's plenty more besides. It's also time for our Readers Awards 2010; revealing the best cars in each class according to you - their owners. Talking of which, if you're in the market for a great used deal, you should check out our feature that explains why buying a write-off can bag you a bargain. All this plus much more. Take a sneaky peak inside January's issue of What Car? by browsing our sample pages below. Just click and drag on the top corner to turn the page. Click here now or call 08456 777 814 and quote WDIG10 (Offer ends 31st March 2011).